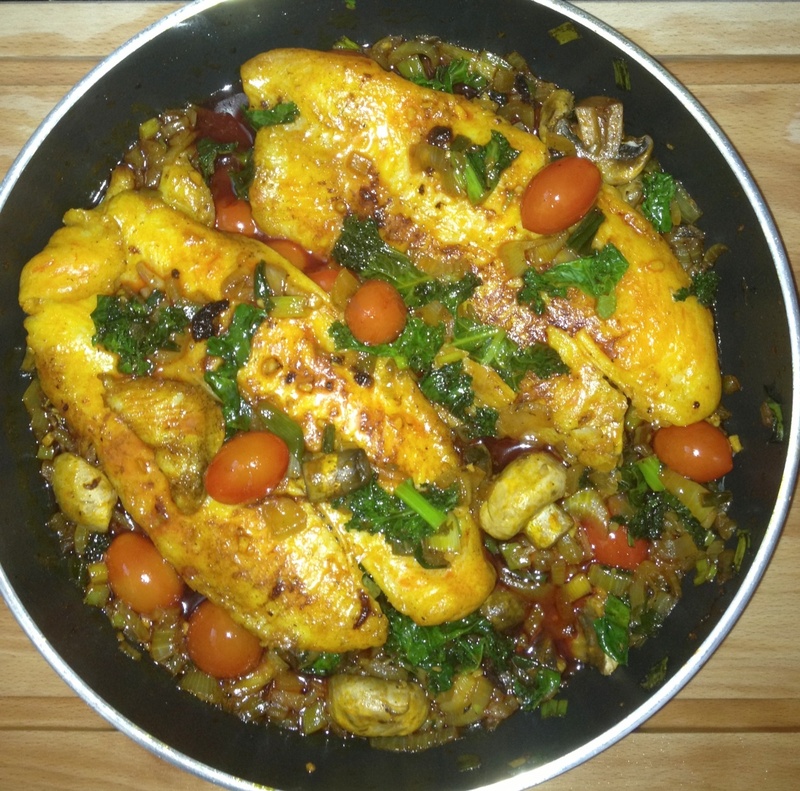 Foodista | Recipes, Cooking Tips, and Food News | Red Palm Oil, Fish Fillet with Mushrooms & Kale. 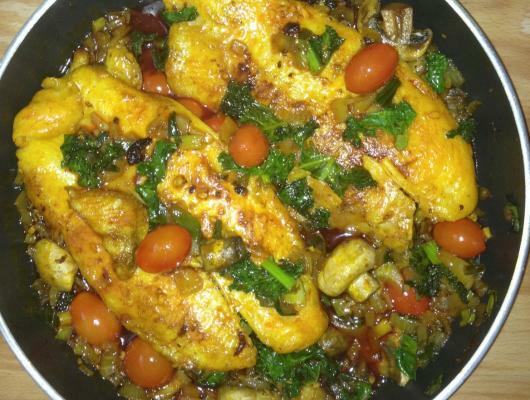 Red Palm Oil, Fish Fillet with Mushrooms & Kale. 1. Clean fish, season it with salt tea spoon of lemon and pinch of salt. 2. Add palm oil into pot for 2 seconds and add the seasoned fish right away. Sauté fish on both sides for 4 mins at a time or until semi done. Then remove fish from the pot. 3. Add chopped onions, chopped scallion, garlic, habanero pepper, chopped ginger, cherry tomatoes, seasoning magi cubes and pinch of salt to taste. Mix it all up and let it sauté for 5 minutes. 4. Add the sautéed fish back in the pot on top of everything add mushrooms and kale on top and mix it slightly. Cover it half way, let it cook for 4 minutes and turn off the stove. 5. Serve this delicious meal over brown or white rice or over wheat couscous for a healthier choice. Cheers! For More Red Palm Oil Recipes Visit Juka's Organic Co., at www.jukasorganic.com Thank you! Dr. Oz's first miracle solution of 2013 is red palm oil, an amazing fat that helps stop the signs of aging inside and out! Learn all about this new nutrient powerhouse and how it can help you add years to your life. So here is a recipe made just for you!